THE sound of birds singing at the famed Tiong Bahru bird corner may soon be heard once again. Bird lovers clutching cages containing their chirpy feathered friends used to flock to the open-air corner at the former Block 53 in Tiong Bahru Road. However, they stopped going there about four years ago when the block was slated for redevelopment. The area fell silent. But, good news – the bird corner is to rise like a phoenix. The housing block where the corner was located has been transformed into the 288-room, boutique Link Hotel, which opened two weeks ago. And the hotel is encouraging the return of the bird enthusiasts to showcase the songs of their talented tweeters. It may also hold an annual bird singing contest to recapture the former glory of the area, says a spokesman for the hotel. 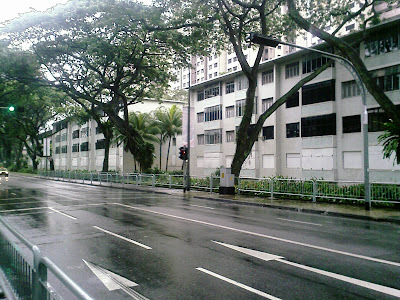 The hotel is made up of two blocks which used to be flats under the Singapore Improvement Trust (SIT) – the predecessor of today’s Housing Board. Over the past two years, these have been converted into the boutique hotel. The cost of this extensive renovation was $45 million, according to earlier reports. However, when Life! checked this week, the hotel said the figure had changed, but did not disclose details. IT IS not just the bird corner that is staying. Even the facade of the housing blocks has been kept. Turning the two residential blocks into commercial buildings came with its challenges. One of which is age. Each block is more than 50 years old and the hotel had to deal with wear and tear of the older building materials. The facade and structure of the two blocks also had to be conserved according to government regulations. This meant the original window louvres had to be retained. Each piece was painstakingly taken down and treated for water seepage and parasites before being reinstalled. ‘Retaining the facade and structure required extra effort during construction but we went ahead with it so the heritage of the building can be preserved,’ says Mr George Chen, 38, the hotel’s director and general manager. 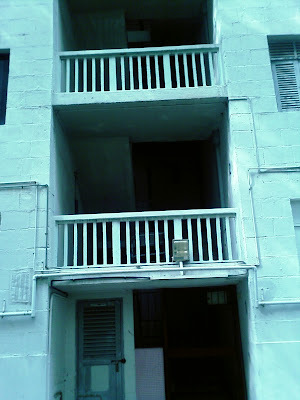 The original balconies were retained, but guests no longer have access to them. Each room also comes with double-glazed windows to keep out noise. Another challenge faced by the project’s architects, local firm Liu & Wo, is that an MRT tunnel runs below the two blocks. That meant the weight of the two buildings had to be carefully regulated to not affect the tunnel. Besides reconfiguring the hotel rooms from former three- and four-room flats, sections of the second, third and fourth floors were removed to create an atrium in the lobby. 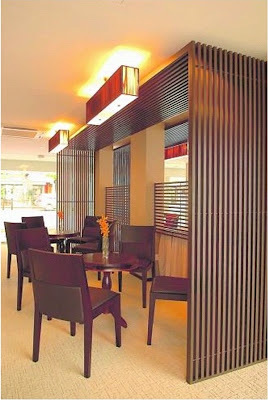 This allows in natural light, making the hotel look more spacious. The interior of the rooms reflect Singapore’s multicultural heritage – they are done up in Chinese, Indian, Malay and modern styles. The hotel is the first project in Singapore for Macau-based Hang Huo Enterprise Group, which has businesses in property, construction, hotels and casinos. 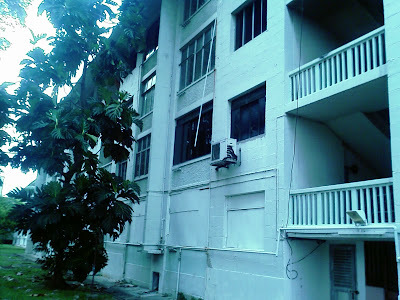 The group won a tender put out by the Singapore Tourism Board (STB) to build the 62-year-lease property four years ago. The hotel did not disclose the original tender bid when Life! asked this week. But judging by the buzz and number of visitors when Life! stopped by, the multi-million-dollar exercise has been worth it. And with 288 rooms, Link Hotel is possibly Singapore’s largest boutique hotel. There are 150 rooms in its Lotus block (named after a flower symbolic of Macau) and 138 rooms in the Orchid block (named after Singapore’s national flower). The two blocks are linked by a 38m-long air-conditioned bridge – a first for a hotel here. Rooms in Lotus are open for bookings and cost from $260 to $600 a night. These cater more to business travellers. The Orchid block is aimed at tourist groups – mainly Chinese – and will be ready in October. 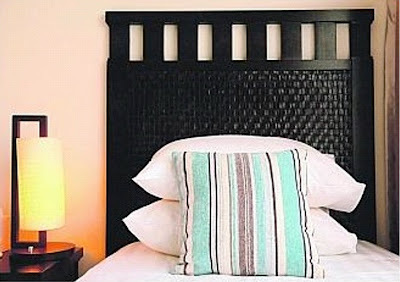 COMFORT FOOD: In the Malay-themed room, the headboard was designed to recreate the weave found on ketupat. 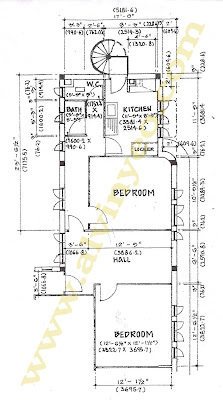 Other rooms are done up in Chinese, Indian and modern styles. Guests can buy the custom-made lamps and other furnishings. TROPICAL TOUCHES: The dark wood of the hotel lounge gives it a modern, tropical look. Taken for granted and treated as USELESS, these building are now in the spotlight again! Though old, they can still be useful and can be called upon to help Singapore retain her economic competitiveness! THE Housing and Development Board (HDB) is taking steps to increase the supply of flats amid growing demand…..The HDB is also working on a pilot project to lease vacated flats under the Selective En-bloc Redevelopment Scheme (Sers) to the public in the short term……Next month, the HDB will call a tender for a managing agent to lease out 120 vacated Sers flats in Blocks 1, 3, 5, 7 and 9 at Tiong Bahru Road. 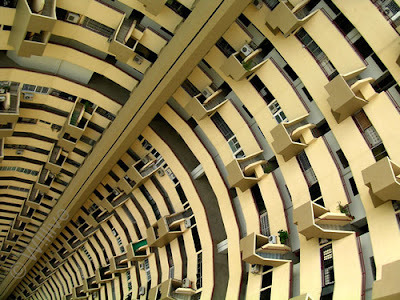 The NEW Boon Tiong Flats. Drop my kids off their kindergarten at Pearlbank this morning and was shocked to see that 80% of residents at Pearlbank has agreed to put their property up on sale. I may not have lived in Pearlbank before but I still feel a deep sense of loss. Everyone who had lived in the Tiong Bahru Estate before could not have missed this Iconic building during their stay here. 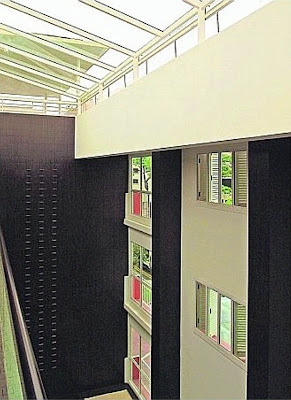 This building was recently featured in URA’s SINGAPORE 1:1 City, A Gallery of Architects and Urban Design. But I guess that has done nothing to help protect this building from destruction. It will probably remain in URA“s Gallery and we will have nothing REAL to show the future generations except for pictures from flickr or videos from youtube. I’m not sure if it is too late to help these Pearlbank Anti En-Bloc folks now. I sincerely hope their resistance will not be futile. 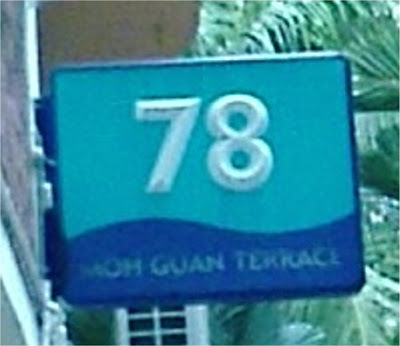 Block 78 in the Tiong Bahru Estate is the only building in the Tiong Bahru Estate with 3 different street names. It is also the longest and tallest building amongst the conserved flats in the Tiong Bahru Estate. 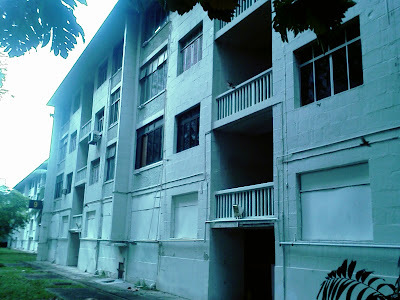 In past, people refer to this estate as the “GOR LAU CHU” (Hokkien for 5 storey house). In fact, after these buildings were completed, people often pop by this area to gawk at the “tall” buildings as it was the only place in Singapore where they could see flats! (Remember, this was in the 1930s). Okay, back to my story on block 78. 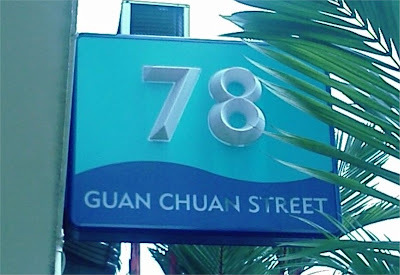 Being Singaporeans, most of us would assume that all blocks in Singapore has only one block number and one street name…which is always the case. But the rules are different here at Tiong Bahru! How often I have to walk back and forth to look for some lost “sheep” who insisted that they are waiting at the right block for me. Yeah! The block number is right but the spot is wrong. Many generations before us had been confused. And many generations after us will continue to be confused. 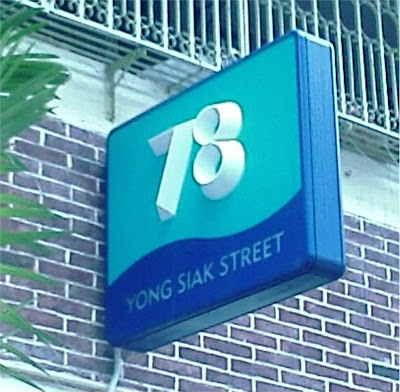 If you have nothing to do, just walk around Block 78. Chances are, you will meet some brand new pizza hut delivery boys making their rounds…..looking hopelessly lost. And during the Chinese New Year period, the hamper uncles will be walking around looking quite frustrated as they struggle to find the right address. I wonder if Santa would be confused too……..
You are currently browsing the Tiong Bahru Estate blog archives for July, 2007.